If there’s one thing that needs to be clear about this beach is the name. It’s Jali, neither Jala nor Jale. 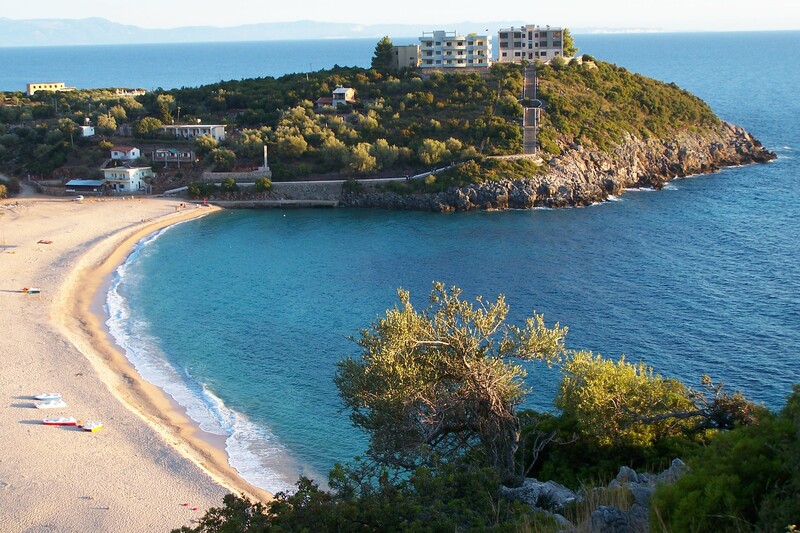 The second most important about Jali is that it’s one of the most beautiful beaches in Albania. If you never been to Jali, don’t miss the chance to explore it this summer. A five km road in Vuno Village on the right side of Vlora-Saranda national road takes to Jali beach. It runs among centennial olive trees and down to small bay on the coast of the Ionian Sea. For many years, Jali used to welcome officers of the Albanian armed forces and their families during the summer season. The hotel is located on a small hilltop and overlooks the Ionian Sea. They say, that the hotel of the officers was built as a summer residence for the Albanian rulers of the communist regime during the 70’s, but it was former dictator Enver Hoxha, who decided to turn it into a summer hotel for officers and their families and it’s still functional. Steep stairs lead to the beach. Now, jail is the destination of all types of vacationers from the rich ones that anchor their yachts in the bay to backpackers that sleep on tents in local camps. The beach is the strongest point of this small coastal village. The sea water is among the cleanest and stunning in the entire Riviera. The beach is the main area where several bars, restaurants, and even pubs are found. The blue water, the half-moon shaped bay, the surrounding olive groves and beautiful sunsets are the key traits of Jali Beach. In early 2000’s Jali beach got the attention of campers that used to come not only from Albania but from all over the world. Later, proper campsites were built. They offer all the necessary services such as accommodation, food, fun, adventure tours, and recreational activities. Currently, this is the cheapest way for those who are travelling on a budget. Tents are available in different sizes from individual to family or group size. Swimming is not the only pastime as the camps include several recreational areas such as volleyball courts, mini-football courts, water polo, ping-pong, etc. Moreover, they offer the opportunity to join sailing, biking, canoeing, and hiking trips to Gjipe Beach, and diving and snorkeling lessons. The camps have a self-service bar and they are open 24hours and besides the restaurants, there’s also a summer kitchen where campers can prepare their own meals. 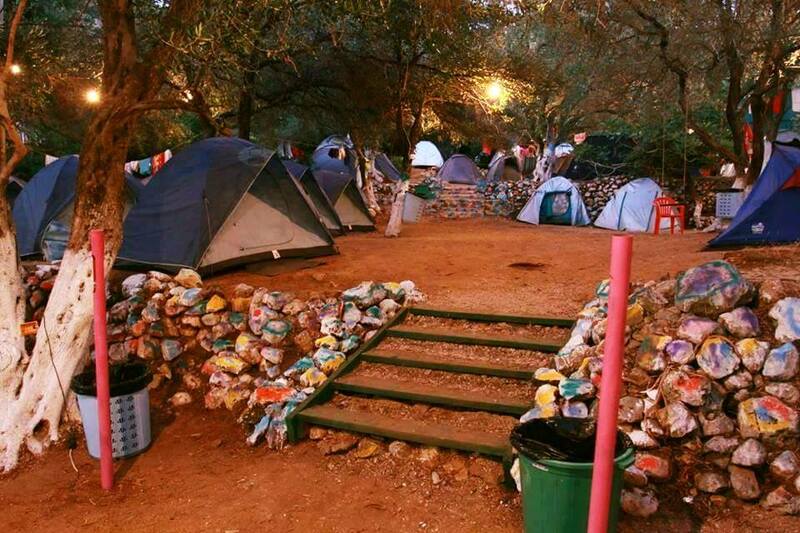 The camps are located in the olive groves area some 100 meters away from the beach. The camp prices are affordable. There are weekly and weekend packages that respectively cost Lek 9,400 and Lek 5,000. They include transportation from Tirana to Jali and vice versa, accommodation, breakfast, lunch, and access to recreational areas. Nightlife is the terms but the party never stops at the beach bars and summer clubs. Foam party’s in Ibiza style are organized during the weekend people dance the night away to the sound of the best Albanian and international DJs. If Jali’s nightlife isn’t enough, there are other great clubs to explore nearby in Dhermi.